Last year we published a list of 15 Halloween costumes that could incorporate smoking your favorite cigar. 4. Ulysses S. Grant. Some historians say the super-sized prez smoked around 20 cigars a day. 5. Mark Twain. 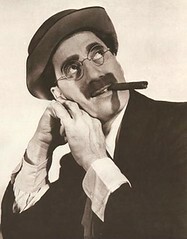 Speaking of the cigar smokers of yesteryear, how about America’s best known cigar-smoking author? 6. Kramer. Just try not to burn down Suzan’s log cabin, or use any racial slurs. 8. Bill Clinton. The former President (and future possible first lady?) got into quite a bit of trouble with his cigars. 10. Sigmund Freud. 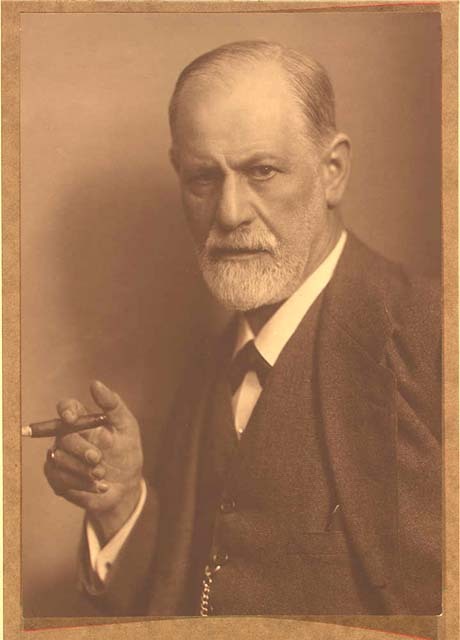 Do you think the cigar-smoking neurologist was into cigars because he was envious of his father’s you-know-what? 12. Hot cigar girl. Enough said. 13. Winston Churchill. Leading (and smoking) England through World War II, this prime minister is by far the manliest British dude ever. By far. 14. Clint Eastwood. Step one: Grab a six-shooter, a cowboy hat, and a Backwoods cigar. Step two: Go kill some Indians. 16. A cigar-chomping communist dictator. 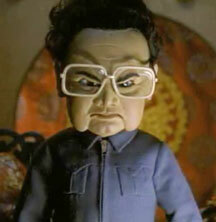 Any Pinko Commie like Fidel Castro, Kim Jong Il, or Che Guevara will do. 17. The Babe. Maybe the greatest slugger in baseball history, Babe Ruth was known for his love of food, drink, and cigars. 18. 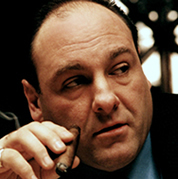 Tony Soprano. We may never know what happened after “Don’t Stop Believing” stopped playing, but we do know that this mafia boss smoked a cigar in almost every episode of The Sopranos. 19. Al Capone. If we’re talking mafia bosses, why not be the original? Capone was known for his enjoyment of cigars, booze, and women. Just don’t get syphilis. 20. A Cigar. Sure smoking a cigar while being dressed as a cigar may seem weirdly cannibalistic, but what better way to show your love for stogies? Got any costume ideas that we missed? Don’t be shy about letting us know your stogie costume in the comments. Let's not forget George Burns either! Don't forget Col. John "Hannibal" Smith from the A-Team! I'm also considering going out as comic character Dr. Will Magnus, a great obscure choice for the pipe smokers in the crowd. JOHN WAYNE: "THE DUKE', How could anybody leave him off the list? Or ,Frank Sinatra, Dean Martin, and Sammy Davis Jr. Just the tip of the iceberg! Not to mention the ,Ladies,who tolerate our habits!